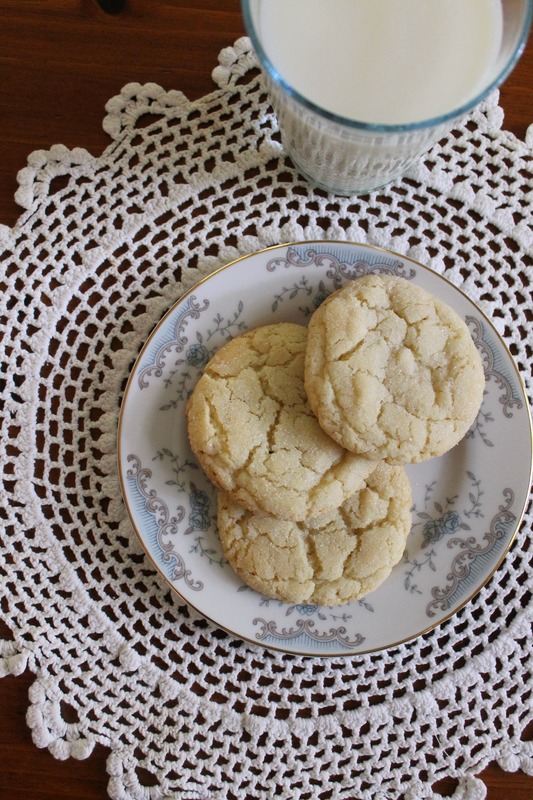 Sugar cookies are often underrated, and while we agree that sometimes all you need is a warm chocolate chip cookie, these definitely are a close second or third in the list of the best cookies ever. They are chewy, and have a nice buttery flavor. Just ignore the fact that there is butter, cream cheese, and vegetable oil all in one recipe! After receiving a bunch of bags of M&Ms from the magazine drive at our school, we used them by adding some to about half of the dough. 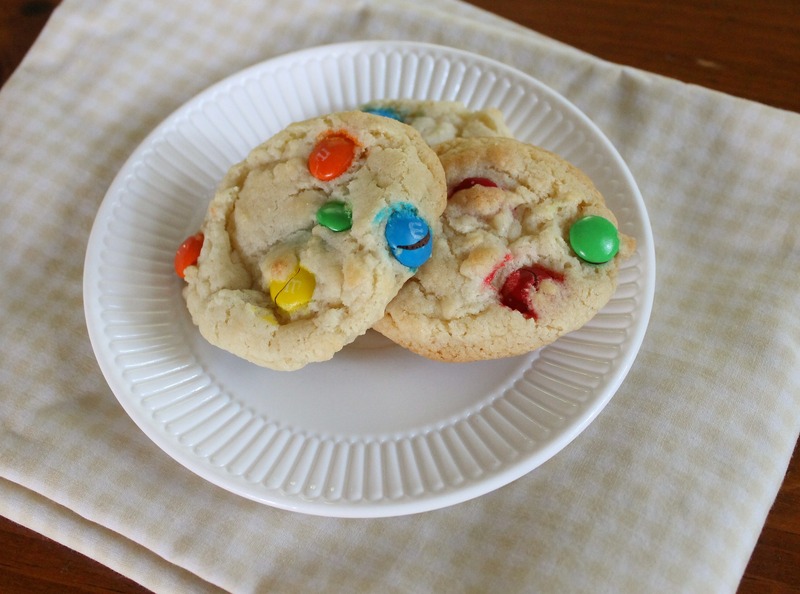 We did not roll those in sugar, because we thought that they would be sweet enough just from the addition of the M&Ms, but you could certainly roll them in sugar if you would like a more traditional crackled sugar cookie top! Adjust oven rack to middle position and heat oven to 350 degrees. Line 2 baking sheets with parchment paper. Whisk together flour, baking powder, baking soda, and salt in a medium bowl. Set aside. Place 1 1/2 cups sugar and cream cheese in a large bowl. Place remaining 1/3 cup sugar in a shallow baking dish or pie plate and set aside. Pour warm butter over sugar and cream cheese and whisk to combine (some small lumps of cream cheese will remain but will smooth out later). Whisk in oil until incorporated. Add egg, milk, and vanilla; continue to whisk until smooth. Add flour mixture and mix with rubber spatula until soft, homogenous dough forms. Working with two tablespoons of dough at a time, roll into balls. Working in batches, roll half of dough balls in sugar to coat and set on prepared baking sheet; repeat with remaining dough balls. Using bottom of greased measuring cup, flatten dough balls until 2 inches in diameter. Sprinkle tops of cookies evenly with sugar remaining in shallow dish for rolling, using 2 teaspoons for each baking sheet (discard remaining sugar). Bake 1 sheet at a time until edges of cookies are set and beginning to brown, 11 to 13 minutes, rotating baking sheet halfway through baking. Let cookies cool on baking sheet for 5 minutes; transfer cookies to wire rack and let cool to room temperature. Side Note: Add about 1 cup of M&Ms to dough to make the M&M version. Rolling in sugar is optional.